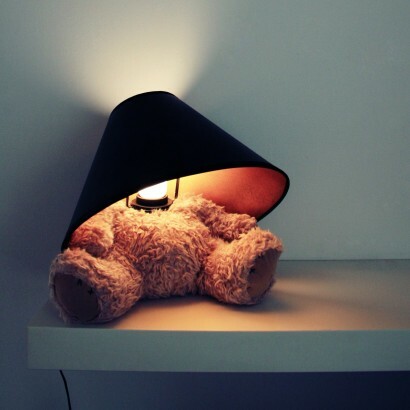 Teddy Bear Lamp is a strikingly unique designer lamp. 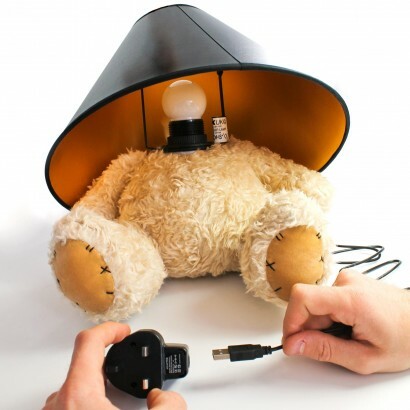 The Teddy Bear Lamp features, yes you've guessed it, a soft plushy teddy bear body, the head replaced with a lamp. 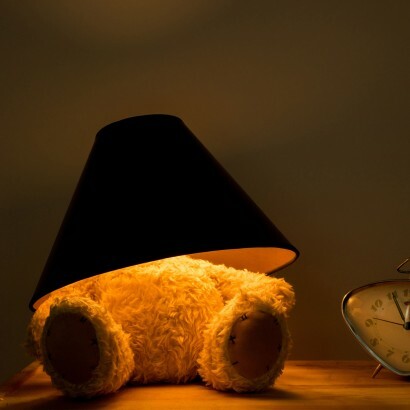 The Teddybear Lamp looks very comfy anywhere you would have a more traditional lamp. 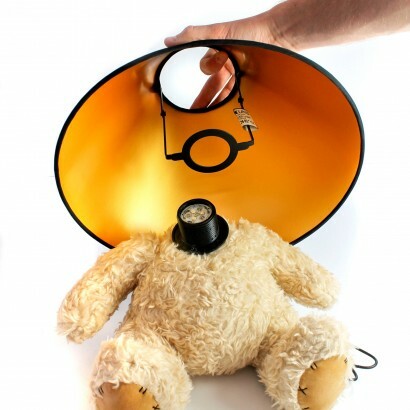 The Teddy Bear Lamp is not a toy. Keep out of reach of children. But can you post a pic straight on? We've been looking for the perfect lamp. One would think if kids are stressed by is then they sure wont make it to adulthood with Harry potter and vid games. The Glow Company Says: The second picture shows the lamp almost exactly straight on. If there's something specific you're trying to see, please contact us and we'll take a look for you. Holy god , I mean really. What kind of a mother does that to a child? Oh my goodness. Nobody in their right mind would buy a child a lamp with a headless teddy bear, and a light bulb where the head is.... surely? Even 12v bulbs get hot.